Request your free samples from PINCHme starting at 11:00 am CT on Tuesday, June 14. It’s first-come, first-serve so be sure to login when the free samples are released! Sign-up now (if you haven’t already) so you can quickly login when the freebies are restocked. There is a limit of 3 samples per person in order to help more members get freebies! Tip: PINCHme site may run slowly during free sample releases, so after you click on something please wait for the page to load (don’t keep clicking because the page should load eventually, just a bit slowly). Here’s a special preview of freebies PINCHme is sending moms with babies. 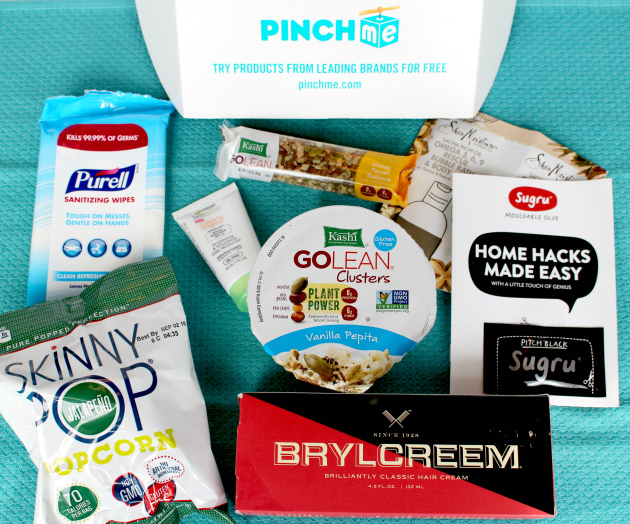 As a PINCHme Influencer I get a sneak peak into upcoming freebies and my referral link is included in this post. Free samples you can request might include V8, goddess garden, Hidden Valley, Garnier Whole Blends, Act, Olay, Kashi GoLean or Eucerin. The selection of freebies varies by person based on how you responded to Profile Questions so I’m unable to post specific freebies but I will share what I get myself. Good luck and tell me what you “pinched”! And of course I’d love to hear: Which freebies did you “PINCH”?